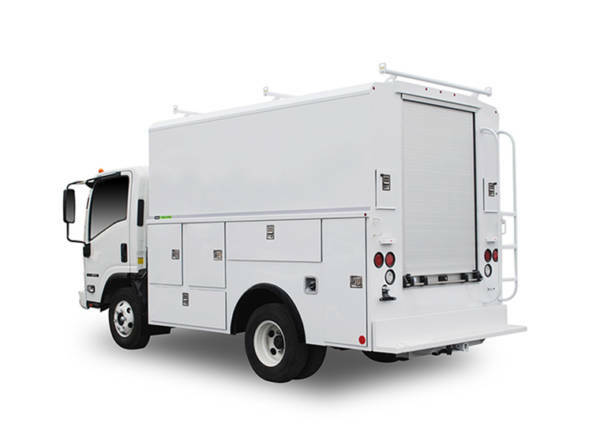 Reading has worked closely with Isuzu Commercial Trucks of America to ensure our Tool-Pro aluminum service van will mount universally to the latest Isuzu N-Series chassis. The Tool-Pro continues to maximize driver productivity with plenty of storage space that works well for any vocational segment. The lightweight, corrosion-resistant aluminum construction offers an appealing total cost of ownership benefit for years to come, delivering up to 50 percent weight savings over comparable steel bodies, yielding up to 10 percent in fuel savings. The Tool-Pro comes with all the standard features of a Reading premium aluminum body, including reinforced understructure, hidden hinge technology, new aluminum roll-up rear access door, Dual-Pro door seals, galvanized shelving, LED lighting, nitrogen strut door holders and Reading’s exclusive E-coat primer and powder-coat finish. 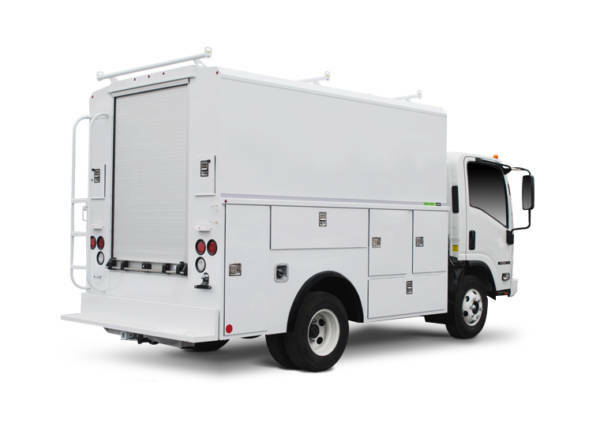 Tool-Pro aluminum van bodies come available for diesel or gas single cab chassis options, featuring the exceptional payload capacity you require in a structurally strong, extremely organized work environment. Anti-slip pooched bumper and hitch body-mounted pooched anti-slip surfaces prevent worker injuries by safely shedding dirt, ice and snow from boots. Special features such as a master locking system, visual open indicators, double-bitted locking cylinders and O-ring seals create a nearly impenetrable fortress to intruders as well as moisture and harmful elements. 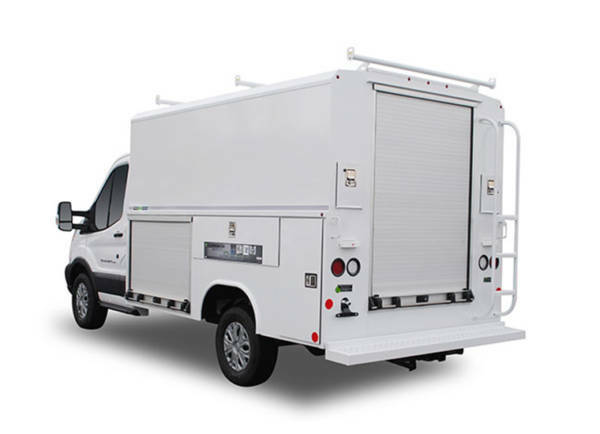 Tool-Pro aluminum service van bodies can be custom-designed to suit your specifications and come available with additional options, including Latch-Matic Smart-Shield, keyless locking system access and a three-bar, roof-mounted ladder rack.